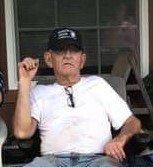 Gerald “Jerry” Rousey, of Hustonville, passed away on Saturday, February 2, 2019, at Casey County Hospital. He was 69. Born on August 12, 1949, in Danville, Kentucky, he was a son of Daisy Sears Rousey and the late Lewis “Buster” Rousey. Jerry was a farmer and a logger. He was a member of Rocky Ford Baptist Church and the Rocky Ford Masonic Lodge #765. Pallbearers will be Todd Wilson, Doug Beldon, Greg Tapscott, Chris Tapscott, Danny Clarkson, Craig Griffin, Tommy Sheperson, James Morgan and Doug Lewis.